The Mercedes-Benz A-Class is a premium hatchback that features elegant exterior styling, and as you'd expect from a Mercedes, a well laid out interior that makes use of quality materials throughout. 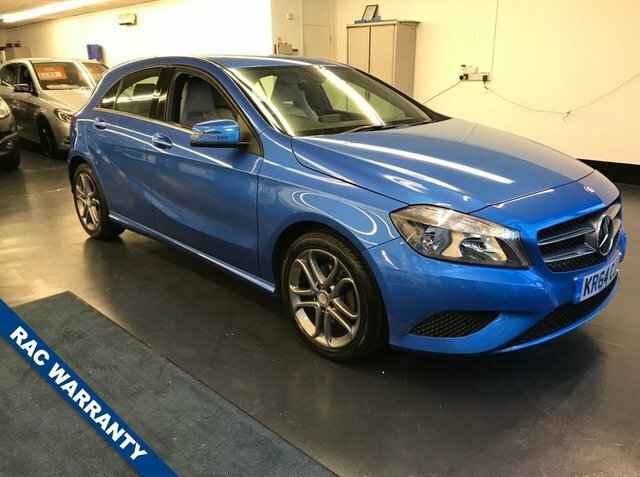 There's a range of petrol and diesel engines available so there's sure to be a used Mercedes-Benz A-Class for sale in Catford that will suit your lifestyle and individual requirements. Buy a used car from Rushmores and you can rest assured your model will have been put through a rigorous inspection process before going on sale. We're proud to be a leading supplier of quality pre-owned vehicles and will continue to provide a high level of customer service long after you've driven away from the showroom. Finance is available to UK residents aged 18 years or older, subject to status. Terms & Conditions apply. Indemnities may be required. Other finance offers may be available but cannot be used in conjunction with this offer. We work with a number of carefully selected credit providers who may be able to offer you finance for your purchase, commission may be received. We are only able to offer finance products from these providers. Postal Address: Rushmores, 2 - 10 Rushey Green, Catford, London SE6 4JF. Find contact details here.